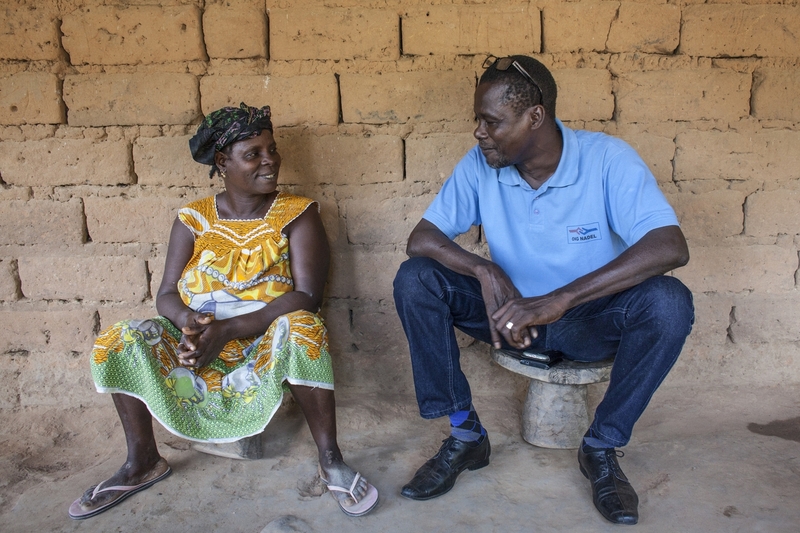 Threatened by Ebola in neighboring countries, Sidi Jaquite and his team of trusted health workers used their experience to spring into action to protect vulnerable communities. When Ebola struck West Africa in 2014, all eyes were on Sierra Leone, Liberia, and Guinea, but the neighboring country of Guinea-Bissau was gripped with fear. The communities that bordered Guinea were remote, and to say they were unprepared for Ebola was a serious understatement. Knowledge of the disease and how it’s transmitted was minimal; health outposts had no water, electricity, or protective gear; and roads there are so rough that a dugout canoe can be a better transport option than an ambulance. With time and money, the country could upgrade its rural health system and key roads, but in this emergency, Guinea-Bissau had neither. What they did have was the complete dedication of an Oxfam partner called NADEL (the National Association for Local Development) and its dynamic director, Sidi Jaquite. Jaquite rarely shuts down his phone and takes a rest. He seems to work every waking hour, but he never considers himself too busy or too important to help out people he meets along the way—to haul a bus out of the mud with his truck, or transport an injured woman to the hospital (and pay her bill). In 2012, he turned his prodigious energy to eradicating cholera in rural Guinea-Bissau, where deadly outbreaks were occurring every year. Jaquite and his team—working in close partnership with the government—launched a campaign to disseminate crucial hygiene messages and improve water and sanitation conditions in remote areas of the country. The results have been impressive: for the past two years there has not been a single case of cholera in the country. NADEL’s work to help communities ward off cholera helped prepare the country for its next big challenge: an outbreak of Ebola in neighboring countries. 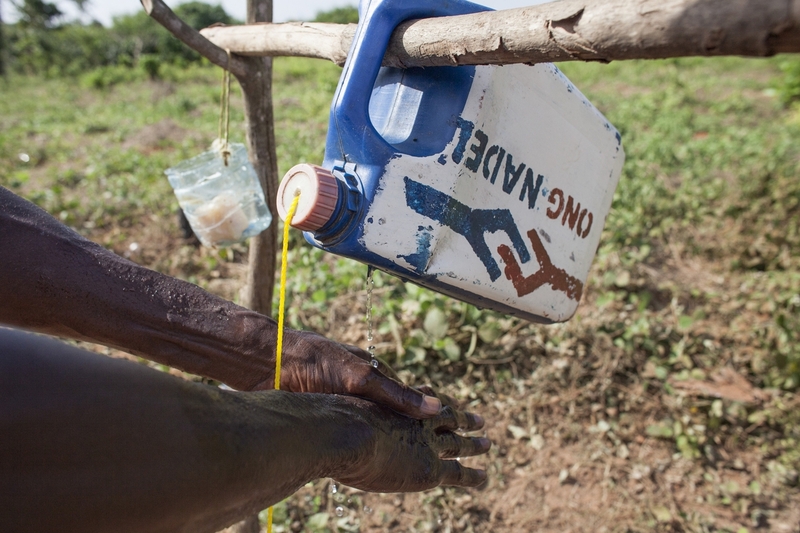 The centerpiece of NADEL’s cholera program was a team of outreach workers—recruited from each of the most vulnerable communities—who have disseminated key information and helped families improve their water, sanitation, and hygiene systems and practices. When Ebola appeared on the horizon, team members quickly shifted their messages to help people understand the symptoms of the disease, what to do (and not to do) if they see someone with those symptoms, the importance of good hygiene, and the risk of eating wild animals that might be carrying the virus. Jaquite added a rapid-response team, ready to deploy for days on end to strengthen outreach in areas that were slow to accept the horrifying new reality. In 2015, a study to gauge the effectiveness of this work showed that more than 90% of the study participants now recognize all Ebola prevention measures. The key to their success, Jaquite believes, is trust. People have confidence in the messengers (who in many cases are their neighbors), and that kind of trust can save lives. Jaquite is the first person to appreciate the work of the international community to support and strengthen the efforts of NADEL and the government. Yet, there are flaws in the global humanitarian system that trouble him greatly. If an international agency deploys a project manager from a wealthy country to help out on the Ebola crisis, Jaquite says, it could cost as much as the salaries of 50 local outreach workers on the front lines of the emergency. “Which is worth more?” he asks. 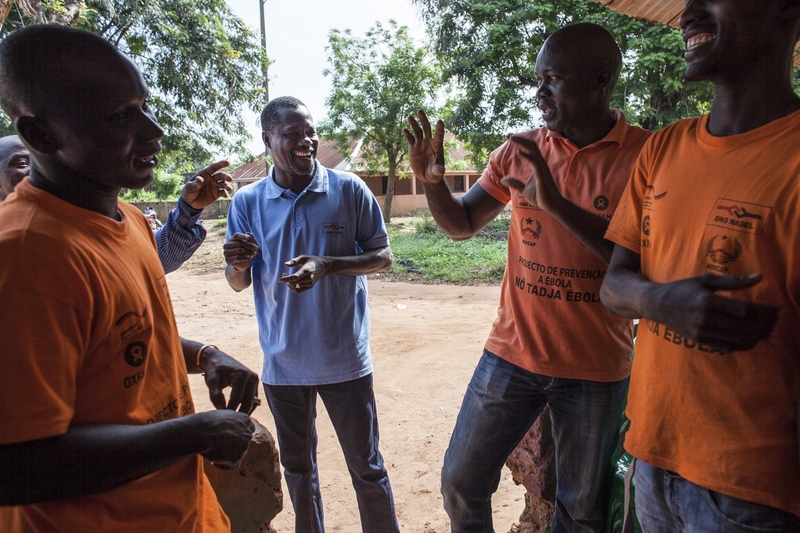 And with all the crises unfolding in the world, it is hard to believe that the troubles of Guinea-Bissau will ever get the attention they need—even in the case of Ebola. The answer, he feels, lies in investing in the capacity of governments and national organizations to manage emergencies themselves—a perspective he shares with Oxfam. “If you are with Sidi you will get tired, because Sidi never gets tired,” says an old friend of Jaquite’s, with a laugh. Jaquite appears to think nothing of climbing into a truck before dawn, navigating treacherous roads for seven hours, then carrying out hygiene kit distributions in a couple of villages while answering a steady stream of phone calls, and finishing up after dark—maybe changing one or two flat tires along the way. As for weekends, he often works straight through. “Sidi is a worker,” is the first thing that everyone says about him. But he is more than a worker. He is a strategist, a leader, a skilled collaborator, and someone who inspires and earns people’s trust every day of the year. “You may have many friends, but the friend that helps you in times of trouble is your best friend,” says Dr. Ferreira. For countless people and for Guinea-Bissau itself, Sidi Jaquite is that friend. Right now less than 2 percent of annual humanitarian assistance is used to support local humanitarian organizations in emergencies. It’s time to put more aid resources and decision-making where they should be: in the hands of local humanitarians in countries affected by disaster, conflict, or other crisis. This story is part of an Oxfam series that highlights local humanitarians who are leading disaster prevention and response in their countries – working to ensure communities are protected and empowered in disasters, conflict or other crisis. Though Oxfam may not fund every project or organization featured in the series, Oxfam stands in solidarity with all those around the world working to right the wrong of poverty.